For the last several days I’ve been searching for soft baby blocks that are made of either BPA free plastic or fabric made in the USA. Do you know what an impossible task this is? IMPOSSIBLE. I searched for “made in USA toys” on Amazon and I get a few pages of results, but half of the “toys” are really just bottles or teethers, and the few toys they’ve listed we either have or something like it. I just want some lead free, BPA free blocks that a small baby can play with easily (and not wood). Is that asking too much? During my search it came to my attention that several of the toys that were gifted to Elise are likely not BPA free, like her favorite monkey with a mirrored tummy. Crap. When I realized this, I decided to do a little more research to see which toys might be BPA free and discovered that Sassy brand toys actually has a BPA free listing of their toys. This got me thinking that all toy companies should have such a section on their site—assuming they have some BPA free toys in their collection, which frankly at this point in the game, everyone should. This is a hot concern for parents right now, so why are toy companies not looking into making their toys a) safer for kids b) eco-friendly? Fisher-Price, Lamaze Toys, Skip Hop, Carter’s: I’m looking at you. Take all your creative toy and game ideas and start wrapping them in a layer of responsibility. When you do, do yourself and your customers a favor and let them sort your toys by categories that are of likely interest to them (eco-friendly, BPA free, lead free!). When you do, I’ll come back as a customer. p.s. Even the blocks distributed by Parents Magazine don’t appear to be BPA free. This is the same magazine that often writes articles about how to keep your family safe from toxic chemicals. This post is part of a month long blogging exercise inspired by Seth Godin. 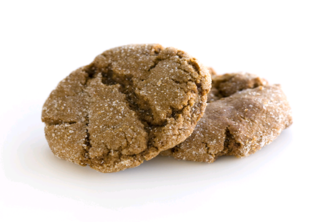 Baking for Good is an online bake sale that supports non profits with great causes. This is a terrific idea; if you’re going to indulge, why not do so and not feel guilty about your purchase, because your money is going to folks who could really use a helping hand? I really love ideas like this that take a traditional concept and put a new and interesting spin on it that gives back to the community. A bake sale for a good cause may sound like an old approach, but how often do you stumble across a bake sale table in daily life? Well now you can stumble upon the virtual bake sale table everyday! What’s additionally nice is that Baking for Good makes it easy for you to also gift their baked goods or gift cards. Their baked goods look quite delicious too! 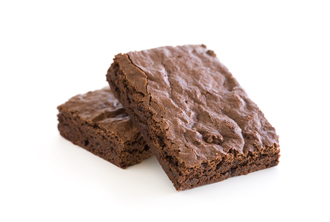 They even have a gluten-free brownie for your friend with a wheat allergy. The next time you need a gift, why not try Baking for Good?